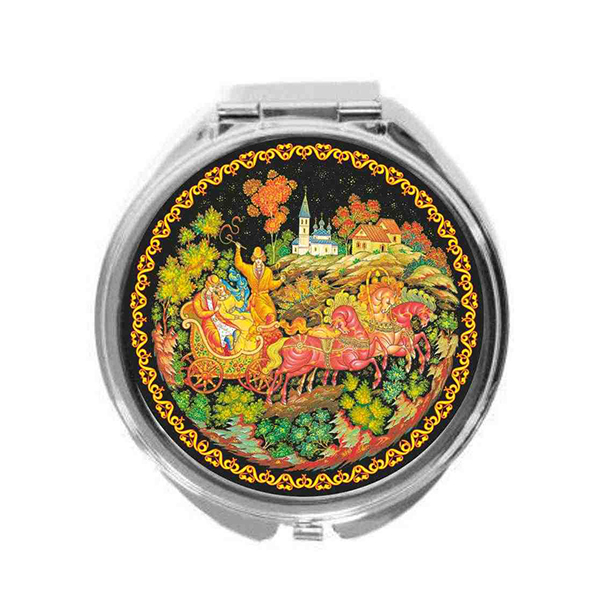 Palekh Compact Mirror "Russian Troyka", 2.5"
This mirror is decorated with a beautiful Russian traditional Palekh styled painting depicting a Russian troyka. A lovely souvenir which will become a nice and non-trivial reminding of Russia and its rich culture. Palekh Compact Mirror "Ivan Tsarevich and the Grey Wolf", 2.5"
Souvenir Coin with Vladimir Putin Image, 1.3" x 1.3"
Palekh Compact Mirror "The Firebird", 2.5"